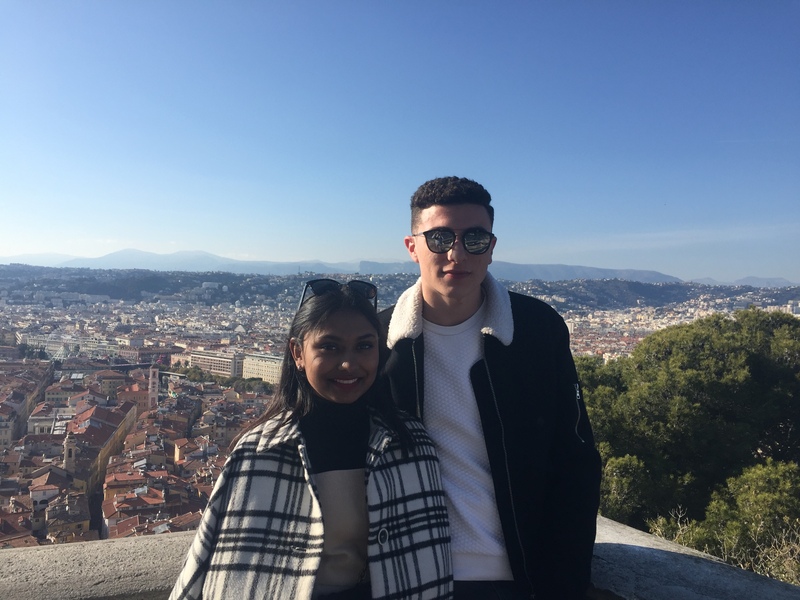 Even though Canada allegedly has the “best quality of life” worldwide, there are an awful lot of us who are happy to spend much of our youth abroad. Backpacking is central to one of Canada’s most enduring myths: that, outside of North America, all Canadians are adored and all Americans are despised. Every Canadian is raised with the knowledge that young US tourists will, if left alone with ample time, shamelessly sew the maple leaf unto their backpacks to get a piece of that sweet, sweet residual kindness. It’s a nice myth, only helped when you have American institutions like the New York Times showering Canada in praise every other week, and when the guy standing next to our ‘feminist’ prime minister is Donald Trump. Our reputation as the world’s boy scout seemed to be safe—but then disaster struck. Justin Trudeau’s SNC-Lavalin scandal, at first confined to Canada, swerved into the international spotlight with devastating impact. The New York Times, The Guardian, FOX News, Le Monde: all of them carried reports or columns or editorials on the scandal, sullying Canada’s reputation abroad. As an exchange student marooned in Edinburgh, Scotland, I was devastated. For the first few weeks of my exchange, I’d benefitted from Canada’s mystical clout: I’d been slipped free Carlings and free Starbucks, and made half of my friends, really, just for being Canadian. I needed to investigate, pick through the rubble, and get some answers: what did the world really think of the New, Crooked Canada? Did people actually care about us, about Trudeau, about the scandal? Had our reputation truly been destroyed? To figure it out, I did what any posh, patriotic émigré would do: flanked by two friends, I went south and interviewed high-schoolers, drug dealers, fashionistas, and literature buffs on what they thought of Trudeau and the Great White North during this great period of unrest. My investigation began in Italy. I asked her, trembling, if she would ever go to Canada. Terrey smiled. “It looks very beautiful, but why would I when I live next to the Mediterranean?” She turned and called over to her son, Francesco. I exhaled deeply, thanked them, and continued my march through the park. Minutes later, I ambushed Enrica and Cécile, two friendly, chic Milanese. “I’d only go to Canada because my friend is a bartender in Montreal,” Enrica told me. They both agreed that they’d only go to Canada in the summer, and had no idea who Justin Trudeau was, let alone Gerry Butts. After spinning my wheels and getting the same sort of fluff elsewhere, I packed it in. It was strange: the city seemed blissfully unaware of Everything Canada, let alone the depravity of the SNC-Lavalin affair. Were the Milanese indifferent, or just being polite? 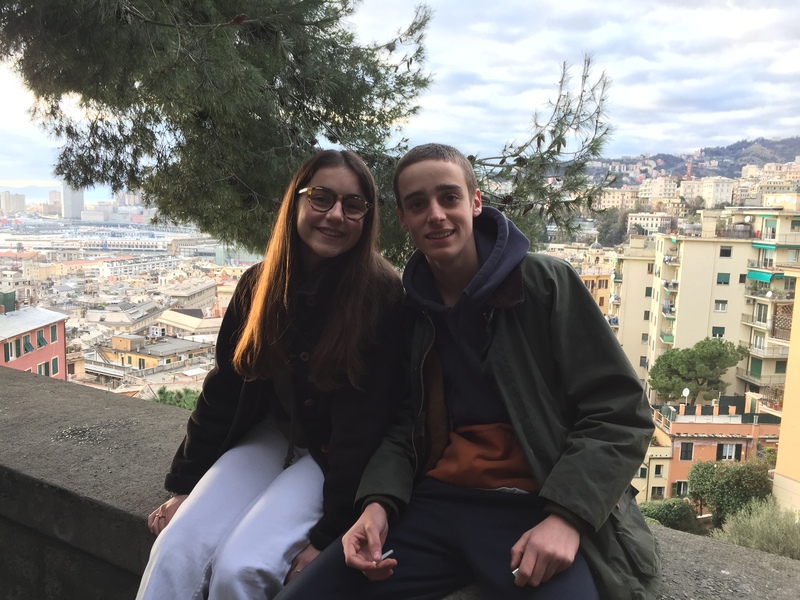 Either way, I couldn’t get too comfortable: our next stop was Genoa, the alleged birthplace of Giovanni Caboto, an Italian adventurer who landed near Newfoundland 500-odd years ago. I figured that, because of this, there might be some lukewarm recognition from the Genovese—a low whistle, skirting eyes, maybe a wagging finger. Expecting the worst, I walked to the city’s coast. 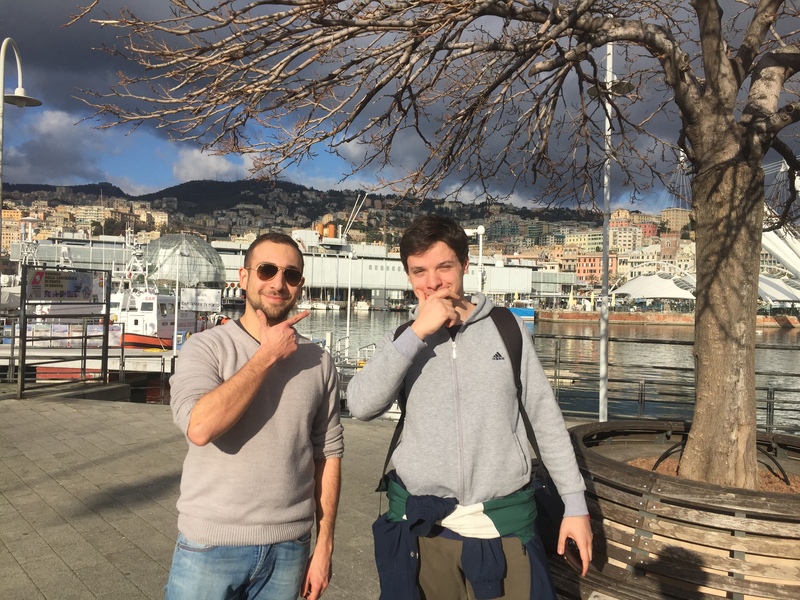 Bantering next to the sea were Tomazzo and Lupo, two very confident, very happy university students. They told me that they’d never been to Canada, and probably would never go. Tomazzo said he might, but once again, only during the summer. “Cold there,” he said, smiling. “Trump is an expression of something that is not good,” Tomazzo said, shaking his head. “And the consumerisme is bad,” Lupo added. There was a lull, and they looked behind me, angling to leave. I couldn’t hold it in any longer. As casually as I could, I asked about Justin Trudeau. Remarkable. Another bullet dodged, our reputation saved. 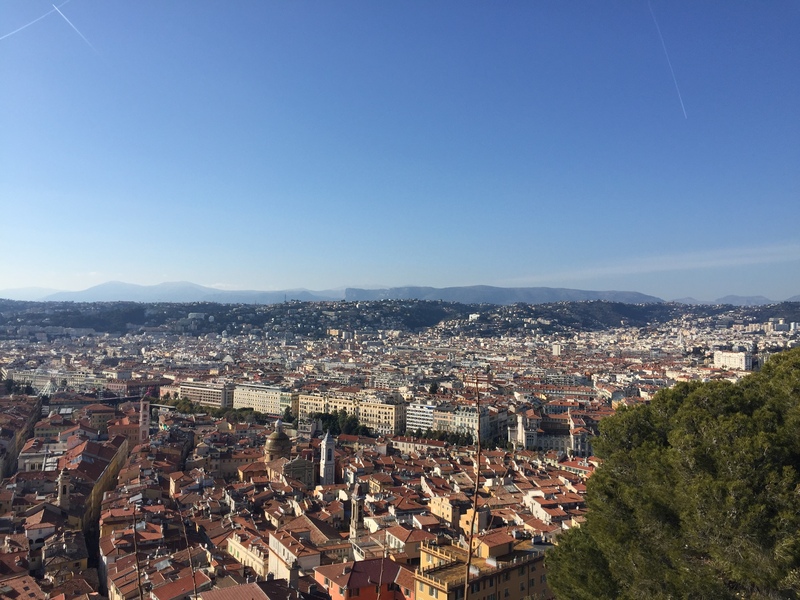 I whispered my thanks, shook their hands, and climbed towards the Spianata Castelletto—a sprawling terrace overlooking the city—to plan out my next move. As I stumbled towards the plaza, I found two high-schoolers, Lea and Angelo, rolling some tabacchi. Feeling a tad more confident, I struck up a conversation and asked if they, by any chance, had ever been to Canada. “No,” Angelo said, deciphering my shoddy, staccato Italian. Lea smiled and shook her head. “Would you ever want to go?” I asked them. “Probably… no,” Angelo said, beaming. That was about as far as I got. Neither of them knew who Trump was, so I figured an I.D. on Trudeau was out of the question. Anonymity had saved us in Italy. There’d been no indication that Canada’s reputation was worse for wear, and I was hopeful that the trend would hold elsewhere. Nice—a jolting, three-hour train ride west—awaited. A short haul from the train station is Nice’s hot, sandy beach, which is where I found Mourad. When I came across him, Mourad was flipping through Mémoires Glacées by Nicholas Vanier . “ C’est comme Jack London,” he explained. But I could barely hear him. Mourad was reading about the Great White North! When I pressed him, he admitted that he didn’t know that much about Canada, but he did love to read about it. “What are the first words that come to mind when you think of Canada?” I asked him. Neutral, to-the-point, vague—fine by me. 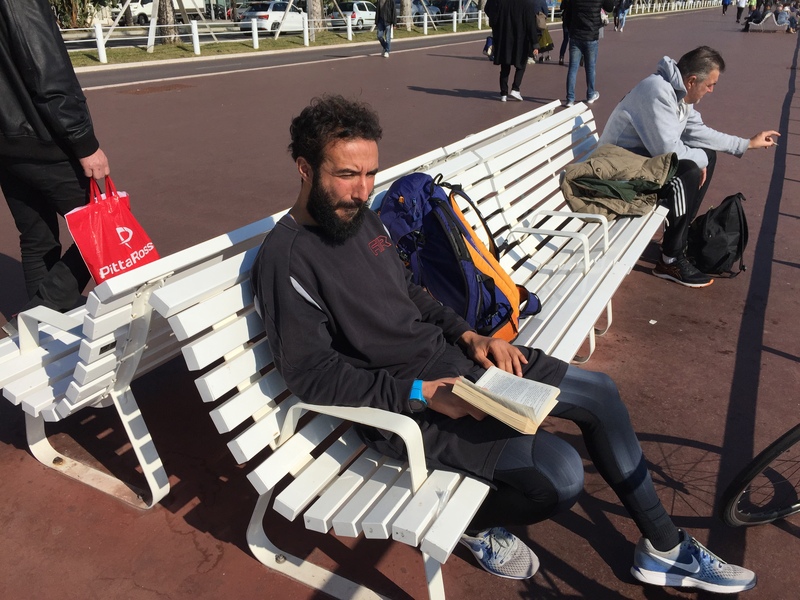 I lapped it up, thanked Mourad, and let him get back to the book. With the wind in my sails, I walked toward Nice’s Old Town and grabbed some lunch. Seconds after finding a seat, however, I found that someone was edging towards me—and whispering. Christ. I guess I—a sweating, smilin’ White Bread Abroad—did look the part. But I shook my head. He edged away. 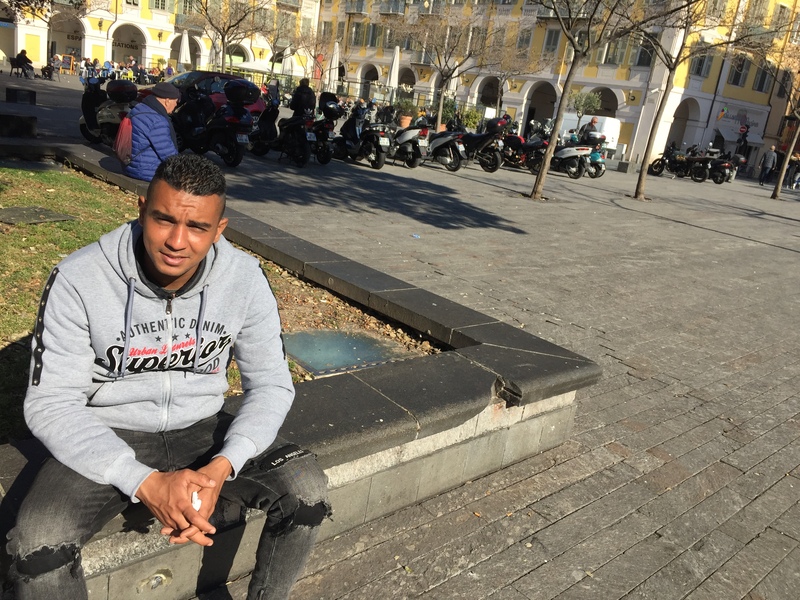 His name was Mimo, and despite his limited English, he kept insisting, with tremendous zeal, that life in Nice was “good.” The people? “Good.” The work? “ Good.” He didn’t know Trudeau or Toronto or even Gretzky and after three minutes, I realized that Mimo was just paving right over my questions. “What do you think about Canada?” I asked. “Life in Nice is good. It’s really good,” he said. The Dude wasn’t budging, so I tried my luck over at Castle Hill. After hiking to the top, I started chatting with two Nicoise: Brenda and Luca. I told them what I was up to and where I was from. “I have not gone, it looks too cold,” Luca said, quickly. 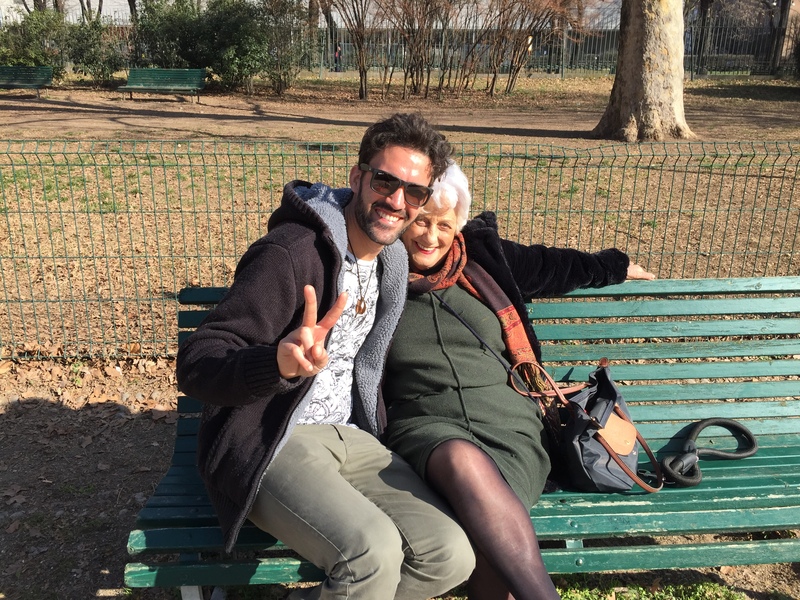 We chatted about Macron briefly, who Luca labelled as “passive,” and then talked America. They said that Trump seemed like “an evil guy.” What of Trudeau, I asked? Again: confusion, indifference, and nothing damning whatsoever . I bid farewell, looped back down the hill, and dug in on the beach. I did a few more drive-by interviews, but they all followed the same vague, Kawhi Leonard-styled script: seems cold, seems nice, no complaints, really. It was an absolute miracle, but I didn’t want to get too cocky. We only had one city to go, sure, but if I’d learned anything from Trudeau, it was that you never wanted to get too comfortable , especially when things seem to be going well. 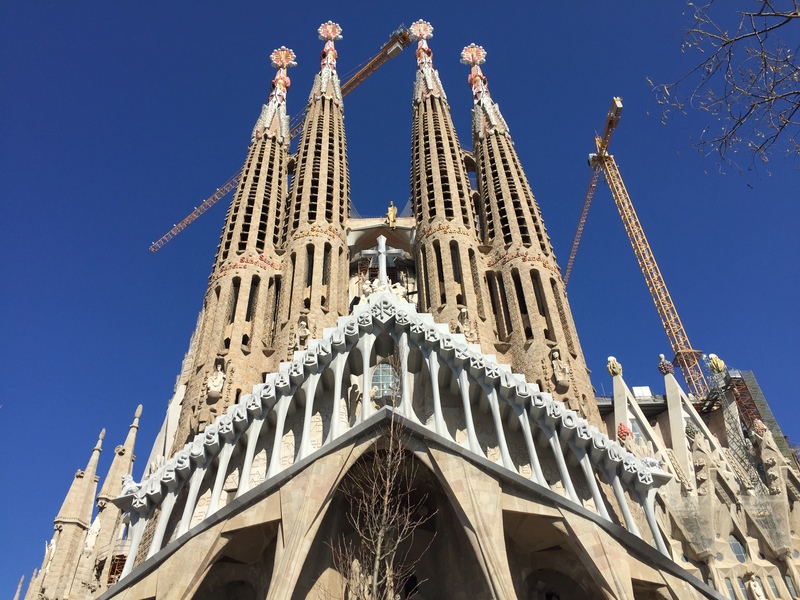 We got into Barcelona two days later and, right away, I walked east towards La Sagrada Familia. I found Aitor and Laura camped out nearby, and like the huge, unfinished church looking over them, they were in no rush whatsoever. I quizzed them on Canada. More of the same. Aitor told me he thought Canadians were “pretty nice,” and though neither knew of Trudeau, both knew of Justin Bieber. 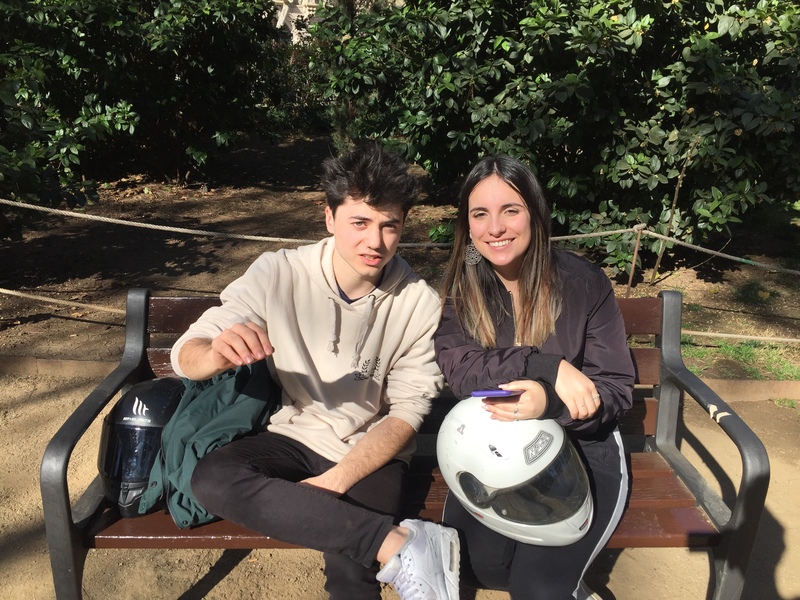 Neither expressed any real desire to go to Canada—a rickety bench in Barcelona was fine by them. After finishing up with Aitor and Laura, I walked down to one of Barcelona’s marinas, and found Wahabe. He was staring up at the 512 ft. Dilbar, what I later learned to be one of the largest, most expensive yachts in the world (retail price: $600 million). 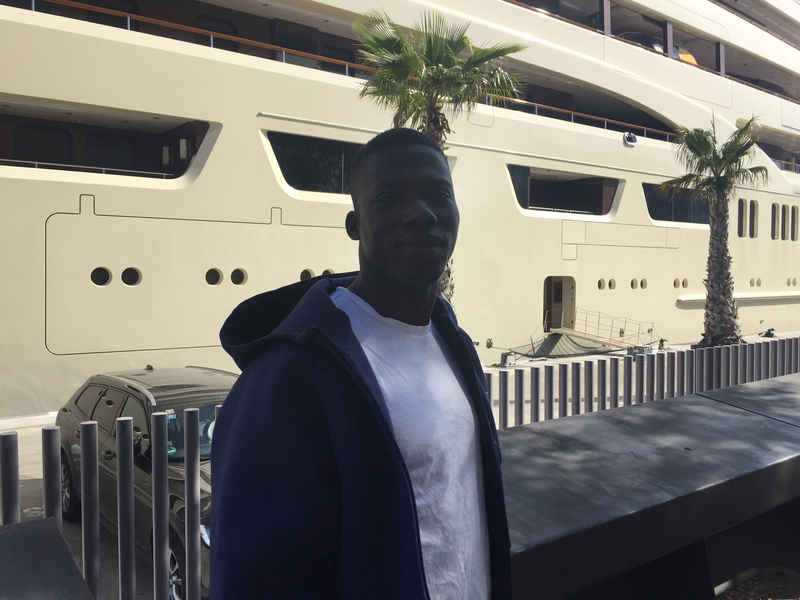 Originally from Ghana, Wahabe was studying in Barcelona. He told me that Ghana was “hot and small,” and that he missed it. When I asked what he thought of Canada, he shook his head: “I don’t.” He had heard that Canada was “good” to refugees, but nothing more. Eventually, Wahabe and I ran out of common ground, and we went our separate ways. It was a fitting end; his so-so affinity and/or indifference towards Canada was characteristic of pretty much every conversation I’d had. It was just the opposite of what I’d expected: far from being destroyed, Canada’s reputation seemed solid and stable and, well, largely untainted. Good try, Gerry Butts! This doesn’t mean that Canada’s above the law and that everyone’s smitten with us; it just suggests that very, very few people actually keeping tabs on us. For Wahabe and Mourad and Luca and Terrey, Canada is just some big, ol’, bloated country thousands of miles and oceans away; what goes on there, be it good, bad, or ugly, doesn’t worry them in the slightest. Our “newfound” anonymity is a punch to the gut, sure, but it’s also sort of liberating: if we wanted to, we could go off the deep-end—annex Greenland, fall back to the gold standard, turn Mike Myers into the Right Honourable Prime Minister—and no one outside of Canada would care. As Trudeau’s demonstrated, we’re free to do as we please.